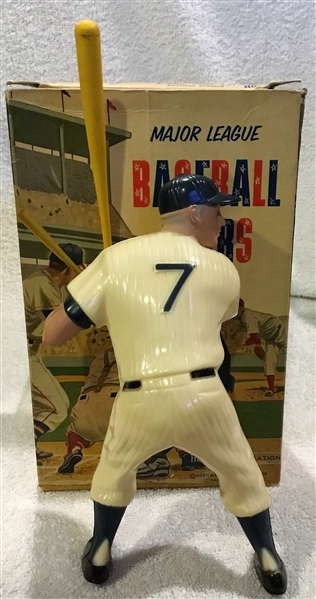 Here's a phenomenal example of the Mickey Mantle Hartland. 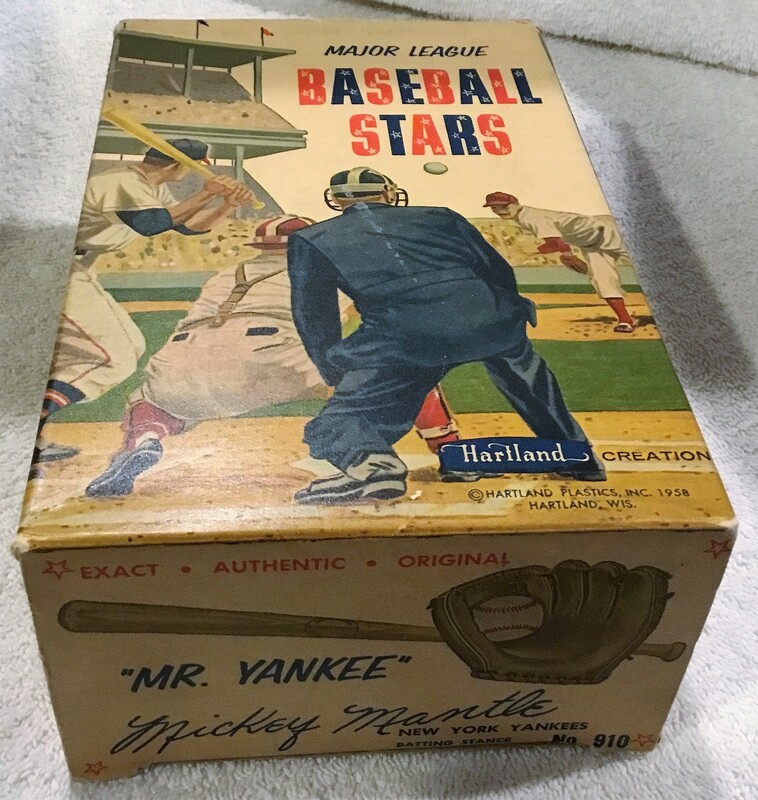 It shows Mickey batting left-handed. The attention to detail is amazing. 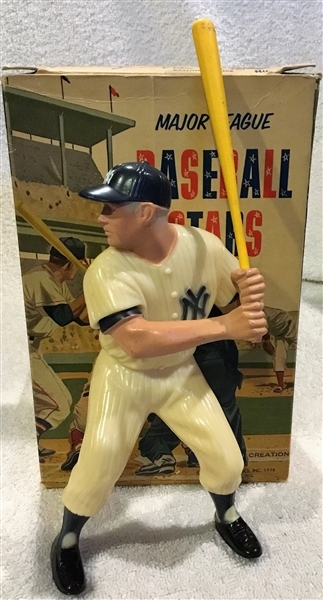 The statue is a touch off-white and the bat fits but is snug in his hands. The statue stands perfectly. 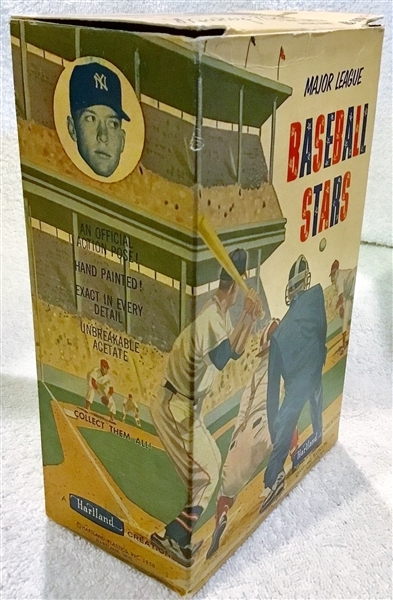 The best part of the lat is that includes the hard to find original box. the box pictures Mantle on the side panels. 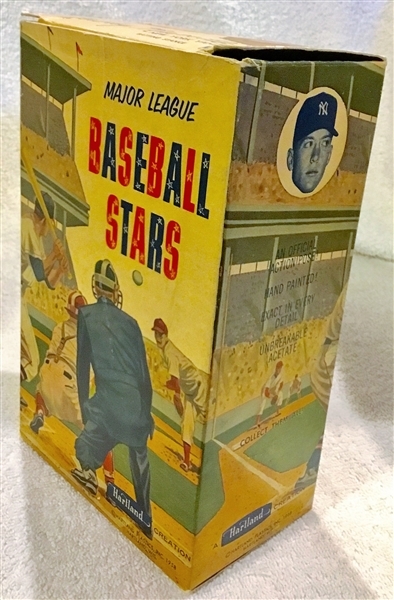 It is sturdy and all the flaps are intact. There is a light crease on one of the main panels, but the box is still in excellent plus condition.